MacB's Plumcake in a Nording Signature. Solani Silver Flake in a Butera. If at first you don't succeed, have another bowl. Mellow Mack in my Peterson Emerald 264. Oddly I had a craving for some Trout Stream in a cob today. Followed up with some MC 2015 VaPer in a Pete. "The pipe draws wisdom from the lips of the philosopher, and shuts up the mouth of the foolish; it generates a style of conversation, contemplative, thoughtful, benevolent, and unaffected..."
First smoke had a bowl of Luxury Navy Flake with a pinch of blending latakia in a Nording. On the horizon I'm thinking a bowl of Gawith Louisiana Flake. C & D Autumn Evening in a meer. 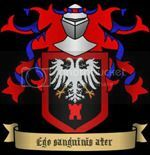 Dedicated to a man I never had the good fortune to meet but a kindred spirit none-the-less. 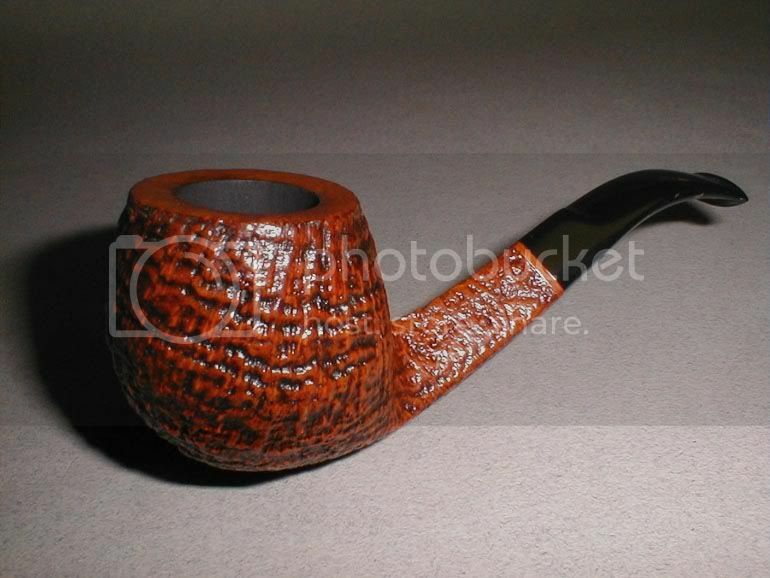 Solani 633 Virginia Flake in a Father And Son apple. McClelland Mellow mack in my savinelli. Waiting for 2 new to me aros that shipped today. Butternut burley and newminster blackberry brandy. Dan Tobacco Sweet Vanilla Honeydew in Luna Churchwarden on the porch on a nice Minnesota evening. Fred Hanna's Wilderness in a Peterson XL02. "So it goes." - K.V. oops--I meant Savinelli Venezia. I hate when I do that. PS Balkan Supreme in a no-name billiard. 1Q in a MM legend cob..
C&D's Herman's Own in a BC Jumbo. 5 year old Hartwell Signature in a pipe shop chimney. Old Dark Fired in a Stanwell Lovat. C&D's DaVinci in a Radice Rind. MB HH Matured Viriginia in a Savinelli Natural Twin Bore Punto Oro 816KS. I got this unsmoked pipe recently and am super happy with it. I think it's pretty rare nowadays. 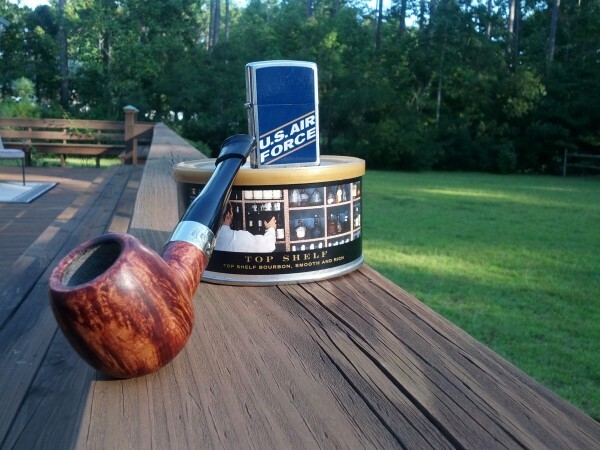 USS Mason in a Savinelli Treve prince. G.L. Pease jack Knife Plug in a Stanwell bulldog. Borkum Riff Cherry Cavendish in my Brebbia Blonde Rusticated Canadian. PA in a James Barber B-Line. Solani 633 in a Willmer. Northwoods in a Tinsky Poker. More Louisiana Red in my Peterson xl315 with a glass (or two) of Jack Daniels Single Barrel. I don't even remember where I got the JD from. The last week I have been enjoying DaVinci by Dan Tobacco in my 1936 Kaywoodie meerschaum Oom-Paul. Its a very fruity/red wine aromatic with no bite at all, I'm rather enjoying it. Some god knows what in a Wellington. Of course my leftovers have the remains of some pretty nice blends. Top Shelf in a Charatan's Make Special pot. 1Q in a Donegal Rocky 268. Gentleman Caller in a Stanwell. Hamborger Veemaster in a Rad Davis Dublin. C&D Night Train in a peterson system pipe. Acadian Legacy in a Meer. Herman's Own in my 1934 Dunhill Dublin and Bagpiper's Dream in a Savinelli at the B&M. My Mixture 965 in a Ser Jacapo. 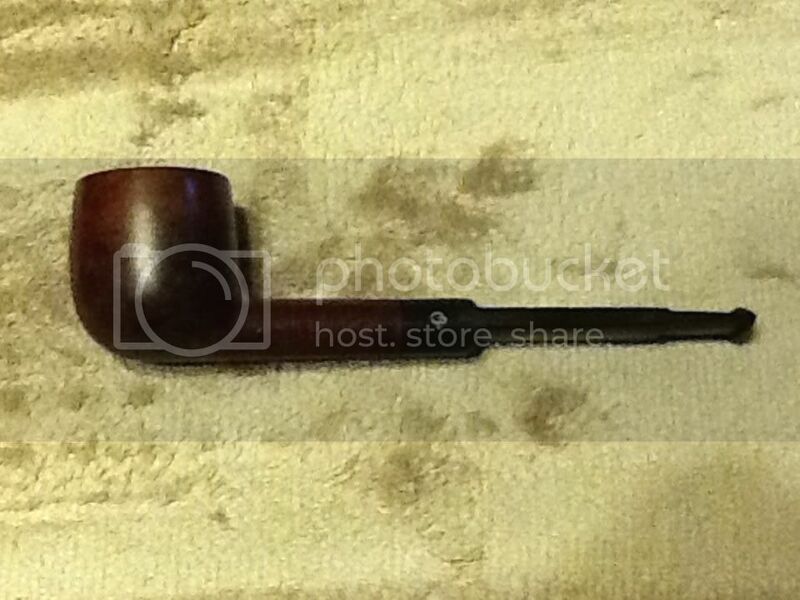 Peterson's University Flake in a '67 bent Dunhill ShellBrier. Professional Bee Handler, If you see me running, you should follow.